News | Vortex Packaging Niagara Inc.
“If winning awards still counts for anything, then the Binkley Apple Red Prince bag can count by twos: as it was a double winner at the 2015 PAC – Packaging Consortium Global Leadership Awards held earlier this year. To see the best in show from the 2015 PAC Click Here. Philip Short is a tender fruit grower from the Niagara region. He wanted to add value to the fruit products sold in the marketplace, and landed on a simple idea: build a better basket that keeps fruit fresher longer, with less damage from transport. His research told him that retailers needed something that would be stackable, extend the product’s shelf life, and didn’t require a lot of staff handling for display. The end result is a recyclable, clear plastic container that comes in different sizes. It’s the first time the tender fruit industry has offered a plastic container with a lid and easy pick-up handle. This basket helps raise the standards of product quality. It transports product easily and is more attractive to consumers, who can see what they are buying. And it’s good for food safety; because the fruit is sealed with a lid, no hands touch it as it moves from the packing shed to the consumer’s home. It even stores well in the fridge, since the lid helps keep the fruit fresh. It’s easy to see why today, this innovator supplies all of Niagara’s tender fruit growers. In fact, almost half of the peaches grown in Ontario in 2010 and beyond were packed in these containers. The baskets are now used by Loblaws vendors in Ontario and nationally, including in Nova Scotia, New Brunswick, Quebec and British Columbia. 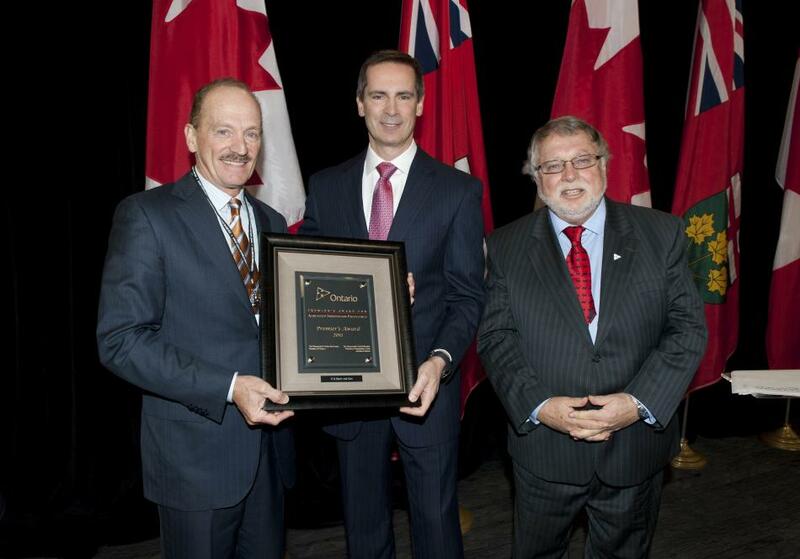 Vortex Packaging receives Premier’s Award for Agri-Food Innovation Excellence. Vortex Packaging Niagara Inc.’s attendance to the 87th annual Canadian Produce Marketing Association Tradeshow in Calgary, Alberta, was met with great success.